No one wants to get wet, but when you’re far away from home and an umbrella’s not enough, protect your child with the Poco rain cover. 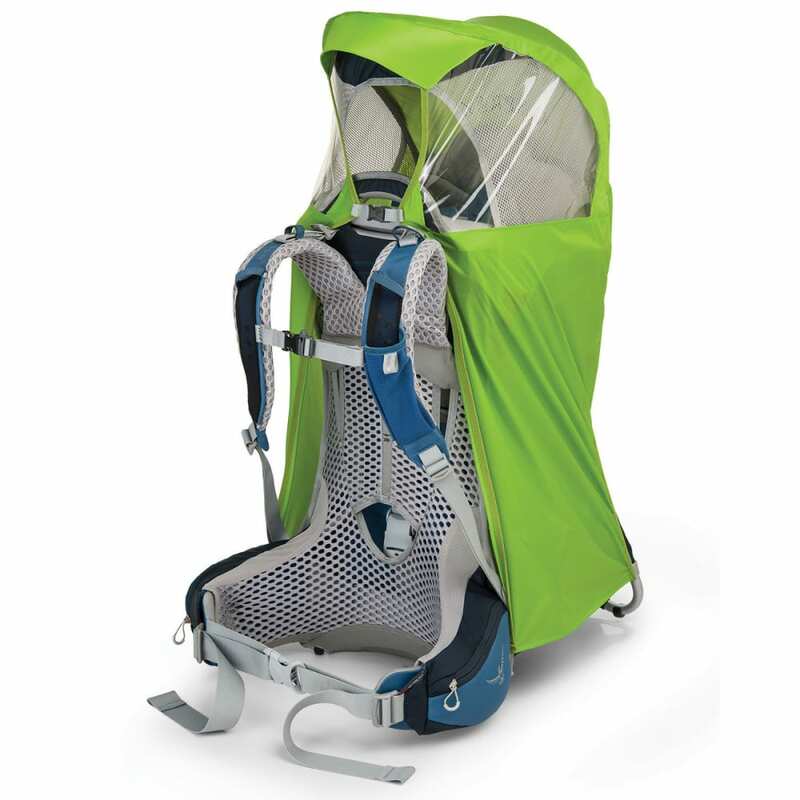 Compatible with Osprey’s Poco child carriers, it’s constructed out of strong, high-visibility ripstop material and attaches quickly through four points. In use, its clear side windows let your child look out at the surroundings without getting wet.